If you’ve got a good thing going, run with it. These two points of view can easily be applied to the seemingly infinite field of mobile apps –both for those making them and those acquiring and using them. Conversely, refer to them as too much of an absolute “law” of the land and suddenly one’s device might be overloaded with an excess of virtual sameness, only differentiated by a variation of background or app font. Fortunately for the field of music, the creative fuel of the world’s musicians dictate that the corresponding needs and ideas to support said fuel be proportionately diverse; thus allowing for development that runs anywhere from subtle feature addition to complete overhaul or invention. 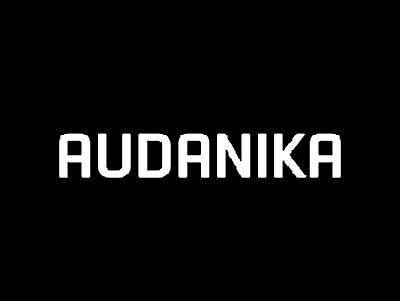 Audanika, a digital musical instrument company devoted to the “learning, playing or teaching [of] music,” as their company’s website states, has carved out a positive reputation for itself that encompasses all these principles of app development: improving and evolving already widely successful ideas while keeping new work familiar and reliable –like an all-purpose tool. Just released in the iTunes store, SoundPrism Electro is the newest creation from Audanika, packing lots of function and power that are liable to make those fascinated by music created through digital means, flock, in a hurry, to see what combinations of melody, harmony and chord progressions can be composed, manipulated and recorded. An app designed to take full advantage of iOS 8’s engine, SoundPrism Electro puts an emphasis on crafting polyphonic arrangements and the actual performance thereof on one’s device, without posturing advanced music theory at the forefront, as a necessity for use or enjoyment. The primary presentation of SoundPrism’s capabilities has always been, and continues to be through Electro, that of an interface not focused on traditional notation but rather a variety of bright, uniform, intuitive light and color displays, each altered by easy-to-activate settings placed in a menu bar off to the side, separate from the main play space. A step-by-step tutorial is also included with the app to walk new users through every feature of SoundPrism Electro. 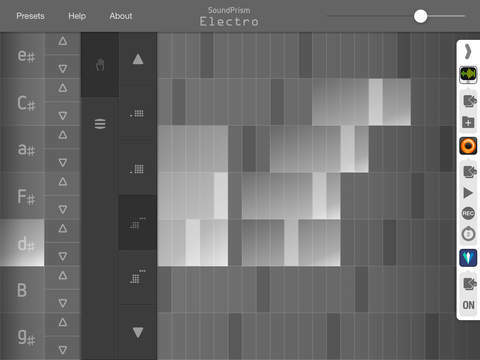 In addition to being a solid standalone piece of software, SoundPrism Electro plays well with others. Its full support of Virtual MIDI enables SoundPrism Electro to control the function of secondary music apps in real-time or, reciprocally, the sounds equipped into SoundPrism Electro can be channeled through and controlled by other apps. Application of the latter might be the option of choice if a musician has a particular type of playback method or style of interface they seek that is unique from SoundPrism Electro, for example. Audanika took this into consideration however, as another feature of this new app is a ribbon controller built into the interface that promotes more flexibility and tonal character for the sounds within SoundPrism Electro. Despite so much natural interaction at hand, it is worth noting that for those who are in fact familiar with the nuance of musical notation and theory, SoundPrism Electro is not without the ability to reference things like note names, chord inversions and tonal patterns while composing in the app so that pieces can be recorded and remembered in a more traditional fashion if desired –all while keeping movement between the playing of various chords just a matter of taps and swipes. No need to manually type in a combination of notes with 6s, 6/4s or figured bass to get an inverted chord. As the makers of the SoundPrism visual music creator, SoundPrism Pro iOS MIDI controller, as well as a collaborator to the immensely versatile and popular music app hub, Audiobus, (of which SoundPrism Electro is already compatible,) Audanika is once again bringing together the opposites of complexity and accessibility in the form of an approachable and aesthetically pleasing digital music accessory for the modern-day songwriter. Below is a brief video showing SoundPrism Electro in action. SoundPrism Electro is available at $4.99 USD (£2.99 / €4,49) and can be downloaded now from the iTunes App Store. You can learn more about Audanika by visiting their official website and company blog, as well as following them on these social media outlets. Audanika welcomes feedback on all their apps so if you like it, have questions or suggestions, reach out! Sebastian Dittmann is the CEO of Audanika. Follow him on Twitter @dittsn.